I am happy to report that one of my clients has published Picnic for Twelve, a book about his parents and their growing family as they navigated The Great Depression and other events over the last century. If you are interested in the life of Irish-Americans during the 1900s, have Boston-area ancestors, or are just looking to read a cleverly written yarn, I highly recommend that you download the book for your Kindle or purchase a print copy. I provided genealogical research support on the Driscoll and Sheehan families. This was a fun and challenging project to work on, as various members of the family moved around a lot, originating in or living in locations including New York City, Southern California, here in Maryland, and of course, Massachusetts and Ireland. Along the way, vital records unlocked most of the clues needed to solve a few family mysteries. As part of the project, I read an early version of the manuscript. The author is a former editor of the Boston Globe and a great storyteller — I highly recommend this book! 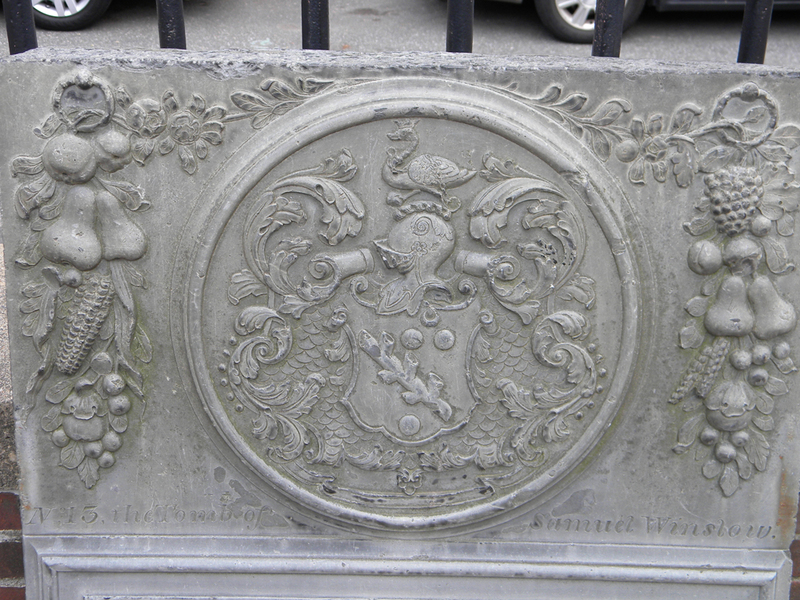 What’s confusing is that the top portion claims it belongs to the tomb of Samuel Winslow. The bottom portion states, however, “Here Lyes the Mortal part of William Clark, Esq.” The rest of the lower portion is hard to read in my photo and there appears to be some damage to the text anyhow. 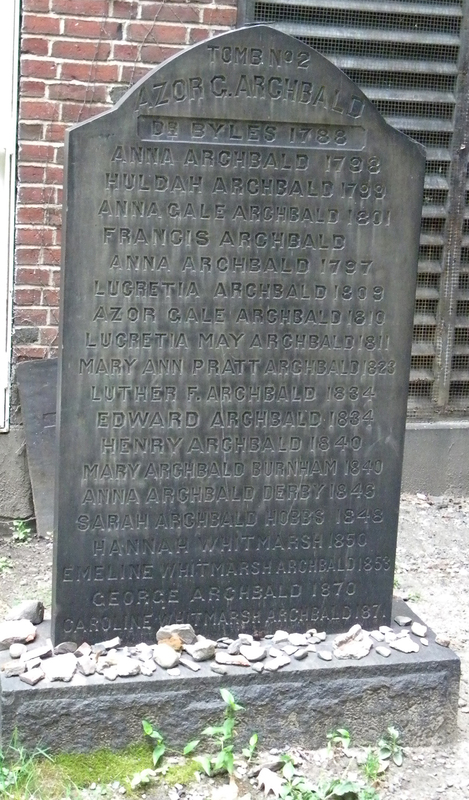 The photo on FindaGrave isn’t much better. I sure would like to know how these two gents were related. 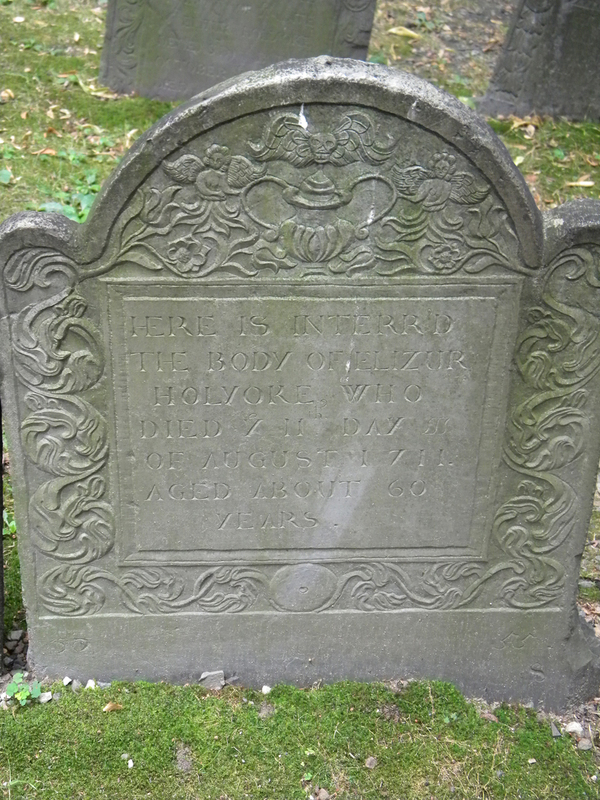 Tombstone Tuesday: William DOWNE, Esq. 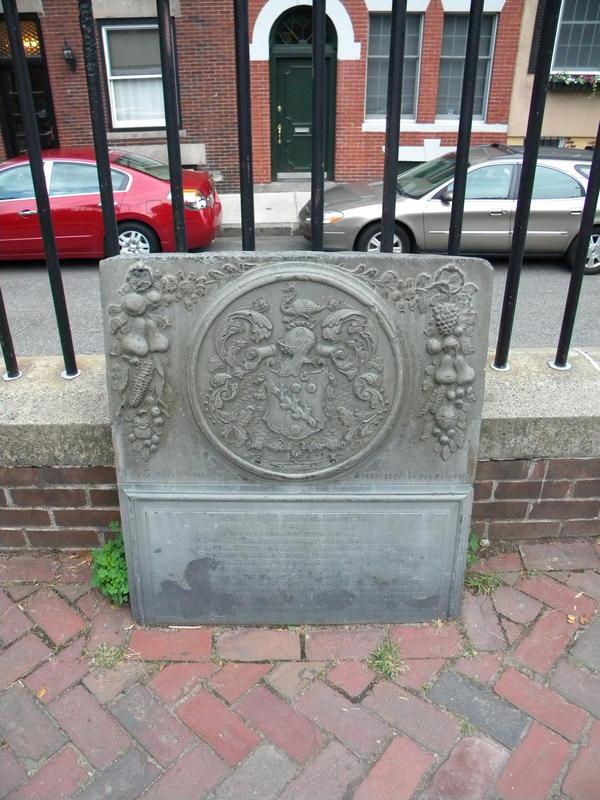 This grave can be found in the Granary Burial Ground in the heart of Boston. Here is the FindaGrave record for William. 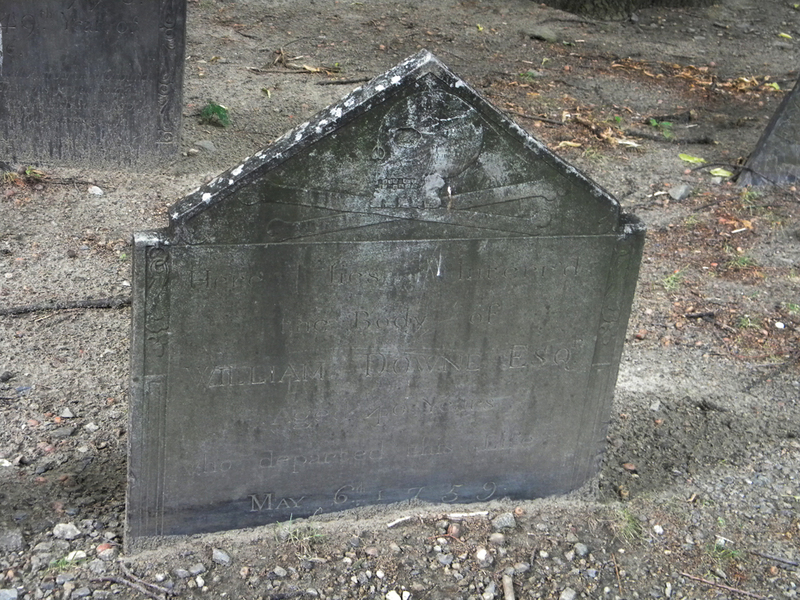 The above photo was taken in Granary Burial Ground. You can view the FindaGrave record here. I like the elaborate carvings — there’s a winged death’s head at the top, an urn flanked by two angels, many flowers and vines. You can read more about him and the rest of the inscription on his tombstone on FindaGrave. 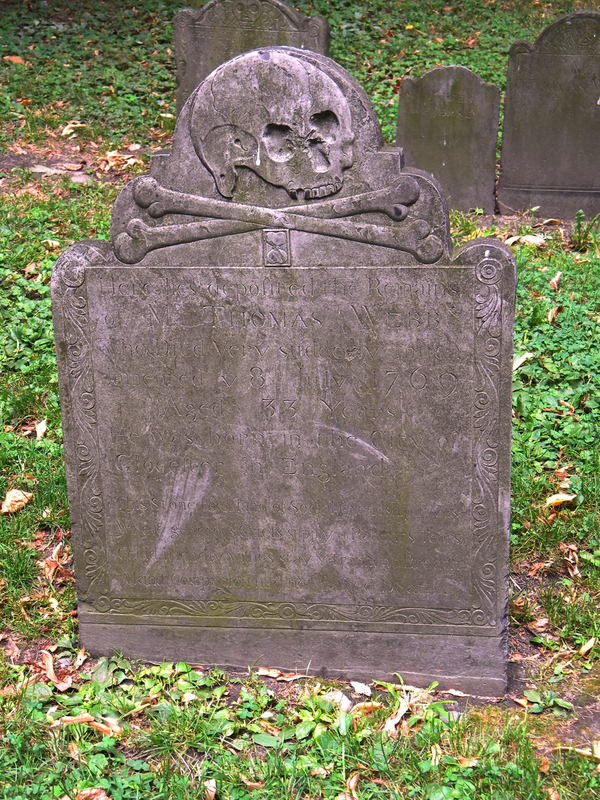 Photo taken last summer at Granary Burial Ground in Boston, Mass. Here’s the FindaGrave record for (the Rev.) Dr. (Mather) Byles, who starts off the list (be sure to check out the note left by a visitor to this page; also note who created this record). Here’s the record for Azor Archbald, whose tomb is pictured. 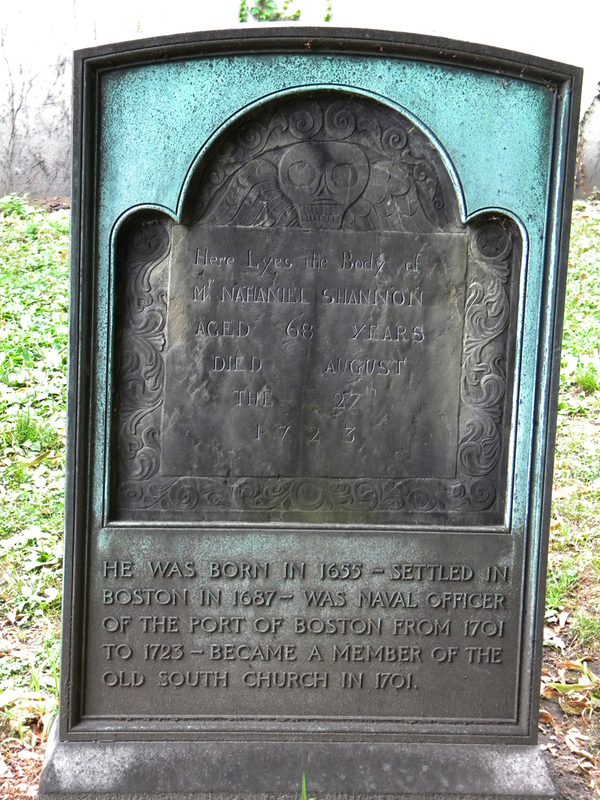 HE WAS BORN IN 1655 – SETTLED IN BOSTON IN 1687 – WAS NAVAL OFFICER OF THE PORT OF BOSTON FROM 1701 TO 1723 – BECAME A MEMBER OF THE OLD SOUTH CHURCH IN 1701. Nathaniel already can be found on Find A Grave.